"Oh [tattoo] you're so fine, you're so fine you blow my mind"
Fine line tattoos are perfect for those who want to get ink with a more subtle look (especially if you plan to hide it from certain peeps). This kind of tatt actually uses less pigment compared to classic black/watercolor designs, resulting in a lighter, intricate finish that is ~*oh-so-cool*~! 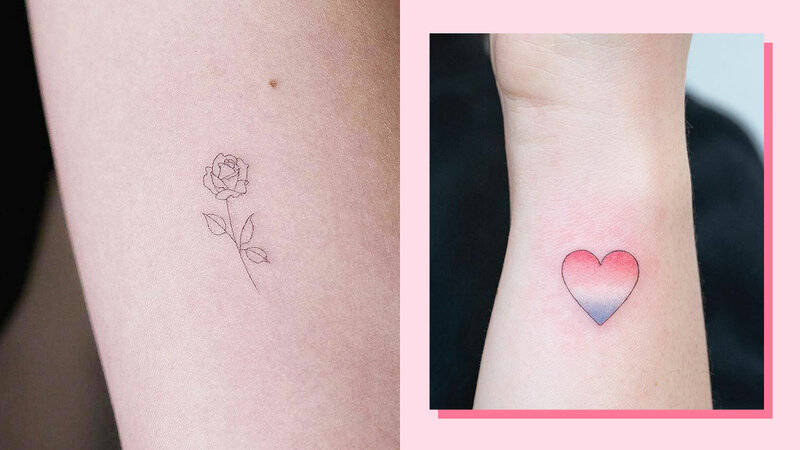 Ed's Note: Since fine tattoos are drawn with less ink, it's more prone to easily fading.. If you get one make sure to keep the area moisturized and protected with lots of SPF! Show your love off for wine with this barely-there ink. Like the rest of us, if you adore your pet, you can get a design of your BB done, too! The super popular rose tattoo looks just as beautiful when done with fine lines. If you want a more detailed flower, though, a cornflower will look gorgeous! Our love for traveling will never fade. Just looking at this is already making us sing "I'm a little teapot, short and stout..."—LOL! For those who still want color in their tattoo, this heart will check all those boxes for you!